From a tea-seller and story teller with no paper to write on, Pan Nalin has carved a name for himself in the lists of global cinema greats. Joyeeta Ray speaks to the filmmaker whose new release edged out the biggest Hollywood entries to win accolades internationally. As India changes, so do her women. Not everyone has been able to capture the evolution quite aptly on screen. Television serials remain regressive, caught in the cage of squabbling middle-class mother-in-laws and daughter-in-laws predominantly. Films have progressed but endings comply more to socially adhering traditions, than radical choices. Few have the courage to break out and break barriers. One man attempted to do so many years back. He dared to defy the norm to present changing equations in unique ways. Many of you may remember the rib-tickling sitcom “Wagle ki Duniya” that was aired between the years 1988 to 1990 in India. Based on characters created by the eminent cartoonist R.K.Laxman, the refreshing series was about the anecdotes of a bumbling middle-class sales clerk and his vociferous wife. “Wagle ki Duniya” shattered myths of the “servile Indian housewife” and made the protagonists a household name. However, the writer remained in the shadows. About a decade back, the same scriptwriter made a film on a Buddhist Monk’s quest for enlightenment. His directorial venture “Samsara”, not only won over 30 international film awards but also brushed shoulders with Lagaan and Devdas as one of the Top 10 Highest Grossing Indian films abroad! Despite the accolades, the man remained largely unknown with the mainstream audience. 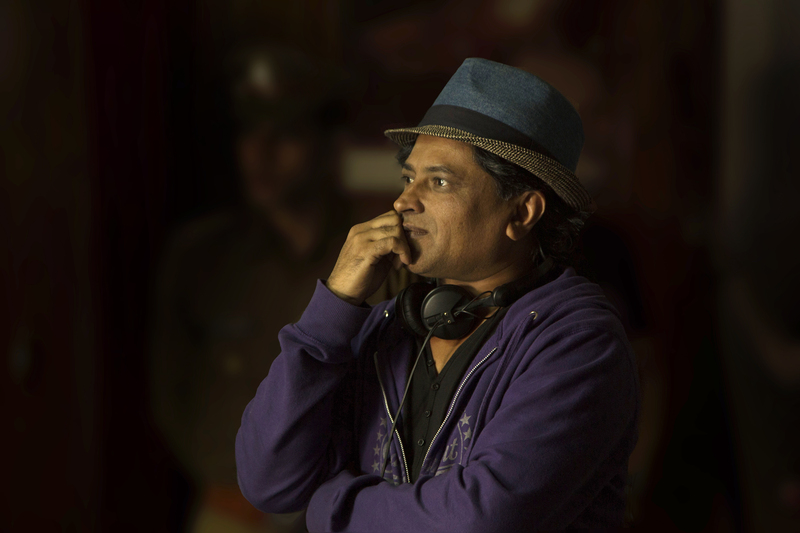 After years of hiding in the pages of his own stories, Pan Nalin finally hits the home turf with his uniquely titled new film Angry Indian Goddesses. Blessed by the film jury, critics and audiences worldwide, AIG has elevated not just its protagonists but this time, also the creator. From behind the camera, SSZee Media brings the storyteller under the spotlight to tell his own story. Hear him talk about his path that began in a tiny village you have never heard of to a globally awarded man you have never heard of to a filmmaker you will be hearing of quite often now as one who may well down in the pages of cinematic history for his unique contributions. SSZEE MEDIA: Congratulations on winning the Popular Choice Awards at the Rome Film Festival. Starting from the fiery name itself, Angry Indian Goddesses sounds intriguing. Can you tell us a bit about the film that’s billed as “India’s first female buddy comedy”? PAN NALIN: Thank you indeed. Yes it is amazing that people across many countries are voting for AIG. I started writing this some years ago. Since decades, we have had our share of buddy movies in India: Rang De Basanti, Dil Chahta Hai, Kai Po Che, 3 Idiots, Delhi Belly… all run high on male testosterone; as if women don’t “buddy” each other! I also realized that there have been few great movies with woman in lead roles and the gap between Rekha starrer Umrao Jaan and Kangana Ranaut in Queen is way too wide. So about five years ago when I started research with my co-writer Subhadra Mahajan and Dilip Shankar there was an outcry on why there are few movies about women! Thus began a close observation on women like I never had before. Women-watching became an obsession: on the streets, in restaurants, at airports and railway stations, college canteens…! I remember, once in a well-known café in Kolkata, I nearly got thrashed up by a bunch of girls. Over the years, as stories started unfolding from many women, there was one taking shape in my heart. It was clear that it had to be India’s “first female buddy film”! SSZEE: You are one of the first Indian Independent filmmakers. But your rags to riches story is worthy of a film itself. How did you get such intensive insight into the complex world of film making? PN: I was born in a tiny village near the border of Sasan Gir Forest, called Khijadia, which stands in ruins today. We were just a few dozen families there, surviving by working for the Western Railway. But we turned jobless when the railway junction-station was shut down. I spent the first 13 to 14 years of my life here. My father had a tea stall on the platform of Khijadia Junction. Often my brothers and sisters helped him sell tea and ‘farsan’ (Gujrati snacks). We studied at the Western Railway School illegally as ours was the only family in the village that did not officially work for the Railways. My father used to bribe the teachers to let us attend school. There was absolutely nothing in that village. The sole temple was built with the efforts of my father. There were vast fields, open blue skies and occasional visits by lions. There is a great tradition of storytellers in Saurashtra (Western India). My parents told us many mythological tales. We would stay awake through the night listening to intriguing stories on war, drama, conflicts between the gods and demons, struggle between humans and the gods or simply brave stories of outlaws who reigned in the desert of Kutchh and the arid land of Kathiawar. As a kid, I liked drawing but it was hard to find paper. I drew on newspapers, railway tickets and cigarette boxes. Later I started collecting matchbox images. I would line them up like a storyboard and make up a story. The village kids were suckers for my stories. I saw my first movie only at eight or nine years of age. The moment I saw it, all I wanted was to be in the movies! Later, I started taking the train to the nearby town of Amreli for High School studies. Often I bartered my lunchbox for a movie show. In the local Jai Hind Theater, the Projector Operator loved eating the delicious food my mom made, while I stayed glued to the tiny projection booth window. From there I consumed my regular dose of melodrama, songs, dance, action, angry Indian men and wet sareed women! Life was magical. I grew up watching mainstream Bollywood and it lived on in my DNA! SSZEE: You were born Nalin Kumar Pandya. How did you come to be known as Pan Nalin? PN: What’s in a name? When I was studying Fine Arts I used to sign my paintings with a pseudonym, an abbreviated version of my name “Pan Nalin.” Later, after many years of struggle when a European producer came forward to finance my first short film, Khajuraho, he preferred having me sign up as Pan Nalin. I told him that as long as he was paying for the production, I would sign up under any name he chose for me. I just needed him to make my movie! SSZEE: Few know that you conceived the famous comedy series “Wagle ki Duniya” in collaboration with the late cartoonist R.K. Laxman, which went on to become a massive success. That’s a completely different genre from your critically acclaimed films like “Samsara” and the ground breaking “Angry Indian Goddesses“. You also made documentaries for BBC and Discovery Channel. How did you develop such a versatile outlook? PN: When I was very young and totally new to the Mumbai film world, I had a job as a Production Coordinator at Durga Khote Productions. Producer Kristina Khote knew about my passion for cinema and storytelling. She introduced me to R. K. Laxman. My mission was to study all his cartoons and come up with a concept for a TV drama series. Thus “Wagle Ki Duniya” was born. We only worked on the first six episodes and later sold the project to another producer. While in Mumbai I had the opportunity to direct TV commercials and corporate films. But frustration set in as I could not make movies my way. I spent whatever little I made through TV commercials on traveling across India and abroad. While traveling, I started putting down fiction and non-fiction ideas. I wanted to break rules and make an exceptional and timeless film that would leave a stamp on the era. However it took me a good six to seven years to raise funds for “Samsara”. While I waited for financing, I started making documentaries and short fictions. After I made “Valley of Flowers”, I wanted to make a great “Eastern” love story with shades of manga and an anime like universe. Or as I did with AIG recently, I wanted to make a female buddy film, because I simply fell in love with the story. I do not believe in labels such as Hollywood, Bollywood, Indie, Art House… and so on. As a filmmaker what is of concern to me most is a great story. It could be a Rom-Com, Thriller or Action. As a filmmaker it’s in my nature to be versatile because each time I make a movie it is a new beginning. SSZEE: The cast of Angry Indian Goddesses introduces lesser known actors such as Sandhya Mridul, Anushka Manchanda, Sarah Jane Dias, Tannishtha Chatterjee, Amrit Maghera, Pavleen Gujral and Rajshri Deshpande. How did you consider them right for the roles? PN: We had short-listed about 12-15 characters, all inspired from real-life people. Each character was a story in itself. The casting of seven female talents in itself was a big preparation. Auditions further shaped the characters and their stories. One day, like magic, there it was –a wild bunch of girls we selected were pinned to the wall of our office. I said this is it! Casting Director Dilip Shankar countered saying “but there are seven of them!” I said number does not matter; this bunch emanates energy and the aura of womanhood and “buddyhood”. We had a workshop with Dilip Shankar where each one worked night and day in building their persona and bringing their character to life. Together with my co-writer Subhadra Mahajan and Dilip Shankar, we devised a system where the actresses would transform their characters and dialogues without their awareness for a completely natural and organic narrative. Thus they were selected also for their talent in improvisation. SSZEE: All your films are critically acclaimed. But commercial success has not followed you to quite the same degree. Why is that? How do you think you can become as successful commercially too? PN: In order to reach a larger audience in India, you have to have at least one star in the movie. Once that is achieved, the toughest challenge is to break into the distribution and exhibition sector. India has a lot of talent in film making and production but not 5% of talent exists in distribution and exhibition. Films are released with fierce competition and aggressive marketing while the content and quality is totally ignored. And it works!! People in India fall again and gain for the stars they love. Most of them might end up hating “Dilwale” but Indians are forgiving. By the time realisation hits them, the box office collections soar and the movie is a super hit! It doesn’t matter if the halls are empty on the following Monday; it is still considered a hit film! It all depends on how you look at the commerce angle on any film or filmmaker. Today I continue making movies because I have not lost money on any of my films, be it a documentary or big budget fiction like “Valley of Flowers”. All my films have enjoyed massive international releases. It is very hard to release films in India because people love labeling filmmakers. Distributors and exhibitors have their own idea of what a commercial film should be. Personally, I have never differentiated between Bollywood, Hollywood, Art House, etc. These labels do not interest me at all. Deep in my heart I am just a storyteller. I made “Samsara” and “Valley of Flowers” the way I wanted. In some countries they are considered “mainstream”, in others they are called “art-house” or “cult movies”. About a decade ago I joined the famous 100 crores (10 million) club when “Samsara” crossed 130 crores box-office worldwide. There then “Samsara” became ‘a mainstream’ film. Very few Indians know that “Samsara“ features in the list of Top 10 highest grossing Indian films abroad along with “Lagaan” and “Devdas”! So for me that is massive commercial success already, considering that we did not have any film stars. Similarly “AIG” will be released in more than sixty countries starting March 2016. Tell me, which Bollywood movie has that kind of appeal beyond the Indian diaspora? However, as a filmmaker, I have to change with time. In the 21st century movies are made by marketing strategy and masala ingredients – and not by the moviemakers. In order to expand commercial viabilities of my movies, all my future projects will see stars from Bollywood or Hollywood. At least two of my projects need big budgets, so in order to mount those projects, I will have to cast stars. But still, the real challenge would be how to make the film my way without losing my artistic integrity, while respecting commercial responsibilities. SSZEE: AIG faced difficulties getting a distributor. Why is that? How did you cross that hurdle? PN: “AIG” has an all women cast and no real big stars. It is neither produced by a known Bollywood banner nor has a big Bollywood star. It had everything going against it for a theatrical release in India. So it was a big fight. Today we are proud that we proved them wrong. People flocked to the theaters across India in about 38 cities and are running several shows to its maximum capacity. Just go to AIG’s social media site to witness the success. I always knew that the Indian audience is ready for great content with or without the stars – but the truth of the matter is that the film has to come to a theater near you. If it does not, then great movies will never translate into great commercial successes. SSZEE: How did it end up attaining a world premier release at the prestigious Toronto Film Festival? Did that ease matters for the distributors in India? PN: Frankly for me AIG is a mainstream Hindi movie. I was nervous about bringing it to a festival. It was a big deal just being selected as a Special Presentation for the Red Carpet World Premiere at Toronto. We did not anticipate the response, which we started getting from day one. First came the media attention; then came the industry screenings where buyers from dozens of countries acquired the film; then came the first public screening and the world premier. But the biggest surprise was yet to come. AIG won the silver in the People’s Choice Award – the best award in the entire universe! That moment felt like we were truly making history, especially since we were up against the Johnny Depp starrer “Black Mass” and Matt Damon starrer “The Martian”. Within the next two days, AIG got invited to fifteen other festivals across the globe; in Rome we won the People’s Choice Award! That did not ease the distribution matter in India at all. Luckily we had a distributor locked in way before AIG’s Toronto selection. However, the Indian media woke up and took notice of the film. They realized that AIG could no longer be ignored. SSZEE: Now that the film is winning accolades globally, do you think it will pave the way for other such unique concepts more easily in India? PN: Not really! Nothing is ever easy in India. Yes next move has to come from the big stars to embrace unique concepts. Just read the people’s opinion on “Dilwale” or “Guddu Ki Gun” or “Hate Story 3″! However, it is a great time to be a filmmaker in India. There are so many talented directors making wonderful films against all odds. But producing great cinema in India is still not that serious a problem. It is distribution which needs a major makeover. Once that is achieved, we will witness a true dawn of a new wave. Bollywood will have no choice but make space for those who know how to make movies. And that demand is already being dictated by the junta (masses). SSZEE: What’s next for us to worship after “Angry Young Goddesses”? PN: As a filmmaker I remain open to everything, and certainly to next Hindi movie. I have been working on an epic high-voltage action movie, “Satori: The First Warrior”; it would be made in Hindi. But it is an expensive film to mount, and it will need a star and big budget. I am also working on a very unique Rom-Com (romantic comedy). Then there is a film adaptation inspired from Manto’s “Toba Tek Singh”. Since ten years, we have been developing “Toba Tek Singh” along with Manto’s daughter Nusrat Jalal. We have also acquired official movie adaptation rights from Sadat Hasan Manto Estate in Pakistan. But for now I am busy completing “BEYOND THE KNOWN WORLD, a “Spiritual Thriller”, a new genre that I’ve invented! It is the first India-New Zealand co-production. Filming is over and it’s currently in post-production in New Zealand. Angry Indian Goddesses will release worldwide from March 2016 on wards in over 70 countries. Please check your local territory for exact screening dates. 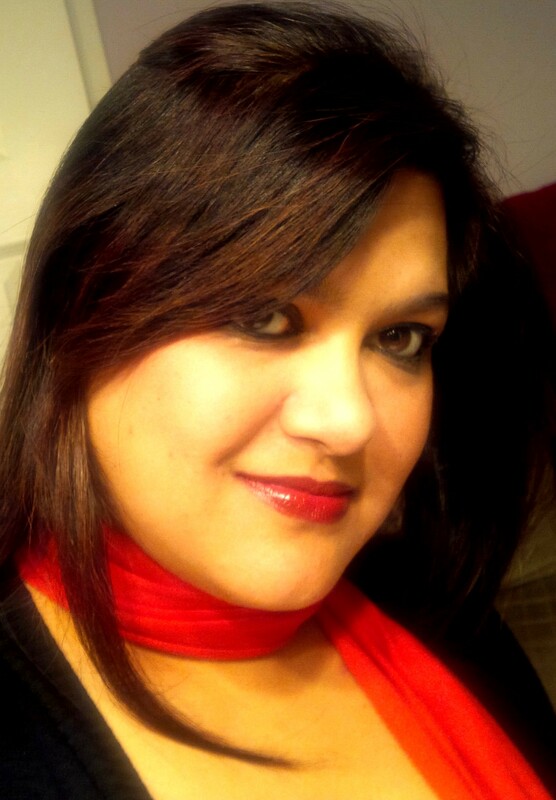 Joyeeta Dutta Ray is the Editor in Chief for SSZEE MEDIA, where she brings her multiple interests and multi country experience to the enterprising portal, that is based in London, Mumbai, Toronto and Los Angeles. She is also an advertising consultant, published author and blogger, currently residing in Toronto, Canada. Connect with us to grow your business. We specialize in marketing strategy, social media marketing, advertising copy, creative inputs and web content.